Having moved from the city out to the country side surrounding Canterbury in Kent, Abigail and Pete decided to really be inspired by their new surroundings for their wedding day. One day when exploring their new world, they found an old town of wooden houses tucked away in the woods, Chilham. Chilham proved to even have a 300 years old, timber framed Village hall, and Abigail and Pete realized that they had found their dream venue. Their day will be totally inspired by the atmosphere of the village hall – think traditional, classic English country garden fetes mixed with The darling buds of May! To achieve their country style dream wedding, Abigail and Pete will create almost everything themselves – with helping hands from families and friends. The ceremony itself and the evening entertainment will all be held in the old village hall. But on the grounds in conjunction to the hall, they will also have a huge, decorated ti-pi set up for the reception dinner to be served. The venue, the ti-pi and the outside area which will include a cozy sofa corner under a giant tree, will all be decorated with country flowers and hops, glass tea lights, Moroccan lanterns, ribbons and cute little decorative details – such as large milk jugs, old teapots and vintage bowls. Abigail is arranging a sewing tea party in the summer, when her and her best friends are coming together to make all their own bunting out of random fabrics. The couple will also be making their own elderflower champagne, brew their own beer, bake cakes and make their own jam “spread the love” – as keepsakes in mini jars for their guests. For entertainment , they will have a 1950s band and a DJ, and Abigail’s close friend will write and sing her own songs. Abigail’s very first cello teacher from her age of 7 will play as they walk down the isles! And the list doesn’t stop there. (I have a feeling that the list will keep going after this is posted as well – Abigail was enthusiastically telling me about how new things where being added to the list every week…) Pete, who previously worked in special effects for the movie industry, is now a partner of a company which creates lighting projections for events and concerts. He will create their own lighting designs, probably together with Abigail’s father who is an illustration artist – a design along the feel and atmosphere of their theme – to be projected onto the inside ceiling of the old village hall. 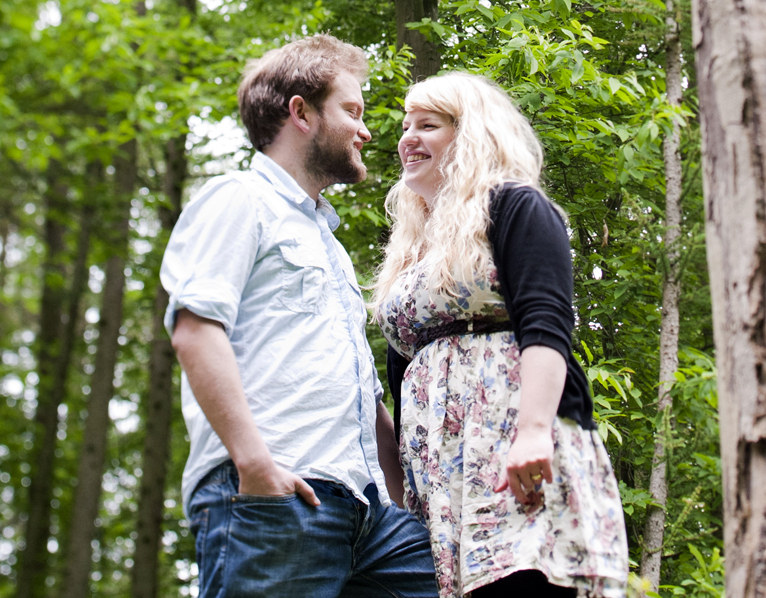 Abigail and Pete had a whole list of lovely locations, which they had scouted out for our portrait session. (They had even tried to arrange to borrow peacocks from a neighbouring farmer to roam around in the shots, which unfortunately fell through) Battling the cloudy and chilly weather, we explored the wild woods where Abigail and Pete go for strolls. I used a perspective control lens (tilt / shift) for many of the shots, to accentuate the fairytalish feeling of these woods. We made a quick stop at the village hall, and then headed for a hamper picnic session near the river in Canterbury, enjoying some homemade cupcakes. And finally we ended up in the coastal town Whitstable nearby, with its curious shop fronts and cute, colourful beach huts. There was a great energy between the couple, with Pete being head of entertainment in cracking jokes – creating shots with lots of fun and laughter. They had dressed with a “relaxed country side feel” for their portraits. And Abigail had brought some props from the collection they are growing for their wedding day, such as the little wooden Love signs. 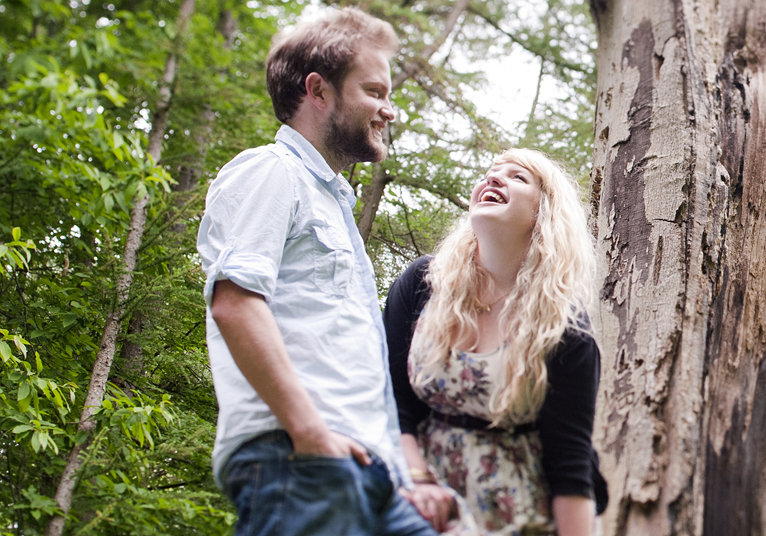 Here are some of my favorites from our engagement shoot – pls scroll down to vote! Abigail - I LOVE them! What a handsome Fiance I have…Very lucky to be together and to have met Louise! 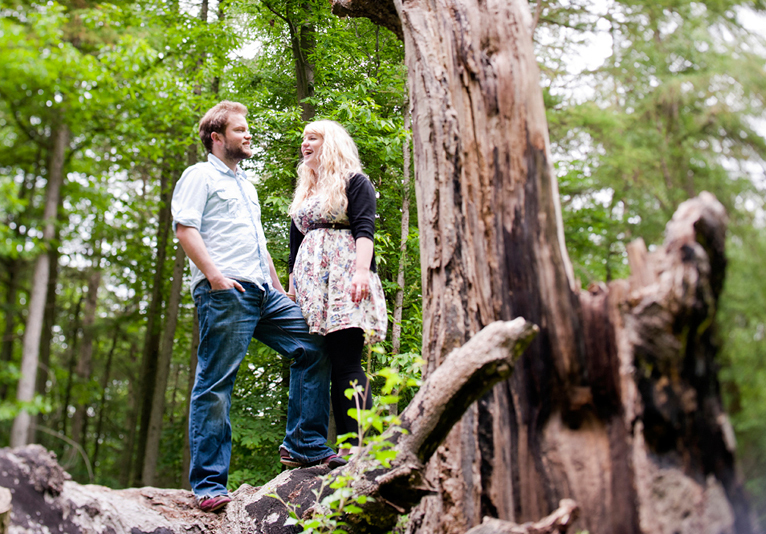 Frederick - Genuinely beautiful photographs, very good locations and, I have to say, a gorgeous and relaxed couple. You have managed to capture some truly intimate moments. Abigail - Beautiful photos! Very much looking forward to seeing the wedding photos because I am also having my wedding reception at Chilham Village Hall later this year!